Netflix ran a bespoke campaign across the network to raise brand awareness and increase subscriptions amongst a key 18-24 demographic. They did this through using a combination of OOH and social media. Click above to see more. The Trainline wanted to raise awareness and increase usage of their app amongst an 18-24 student audience. They used our on-campus D6s to reach this demographic during the key freshers period. Click above to see more. 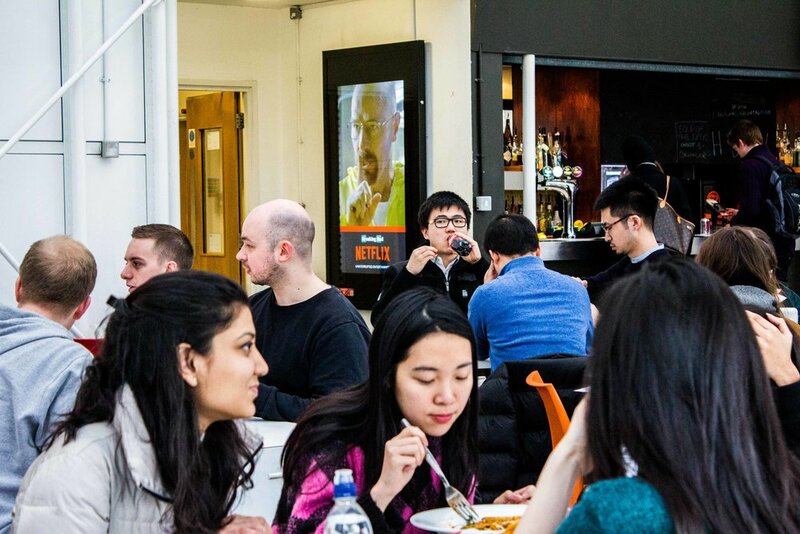 Virgin Media needed to reach a student audience with zero wastage for their special 9 month student contract for broadband. They ran a freshers campaign to coincide with the start of term at each university. Click above to see more. 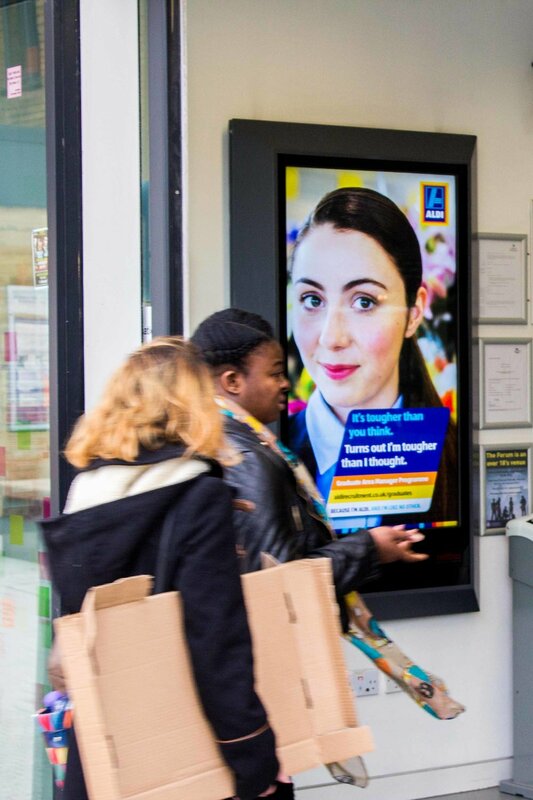 Aldi ran tactical bursts of activity throughout the academic year to raise awareness of their graduate recruitment programme to university students. Click above to see more. BBC Three used our network to reach an 18-24 audience as part of a wider campaign to raise awareness of the switch over from digital tv to online. Click above to see more. 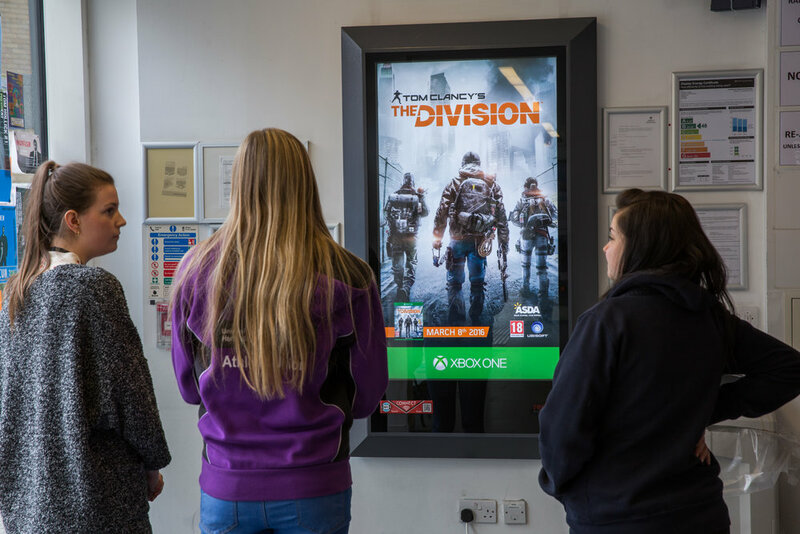 Ubisoft ran a campaign for Tom Clancy's The Division across our national on-campus D6 network to reach a youth audience in the first week of the game's launch. Click above to see more.